I'm searching pictures or information about King Frédéric VII. 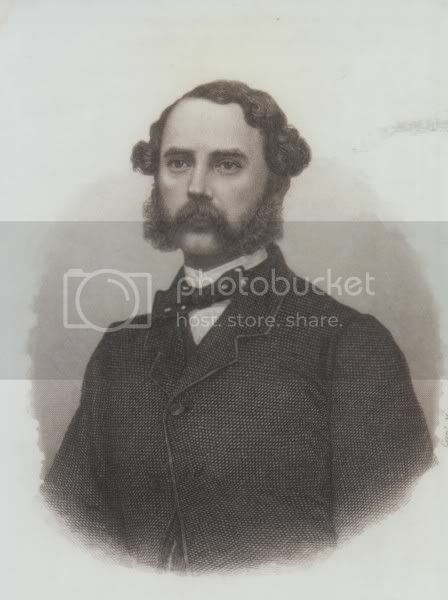 Frederik was born 6. oct. 1808, son of Prince Christian (VIII) and his first wife, Princess Charlotte Frederikke. His parents got divorced in 1810, because his mother had been unfaithful. She was send to Horsens, but later she emigrated to Rome. It early became clear that Frederik, known as Fritz, was a black sheep. He hated school, and never learned to spell properly, but he was very interested in archaeology. From his mother, he inherited a desire to tell the most amazing lies. As he grew older, he was send into the army, in the hope that it straighten him out, but he became the worst nightmare for many sergents and his royal family's big concern. He disobeyed orders, drank heavily and sought out the company of the most common and simple people he could find, and very pro-republican. In 1828 he met his mother during a educational trip for the first and only time since the divorce. In November the same year, he married Princess Vilhelmine, youngest daughter of King Frederik VI. The marriage was a disater, and after having treathend Vilhelmine with a broken bottle and said that he would kill her, they were divorced 1838. In 1841, Fritz, now Crown Prince, was married to Princess Mariane of Mecklenburg, with the same result as the first one. 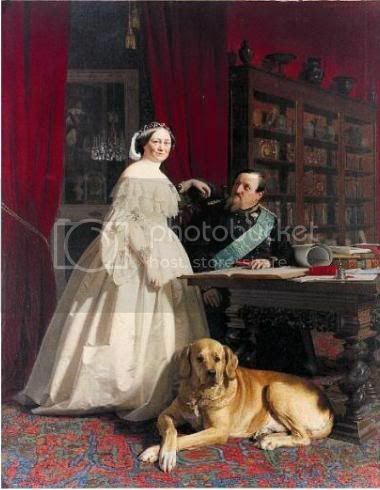 In 1844 the princess left Copenhagen to visit her parents, but never returned, and they were finally divorced in 1846. In 1848 Christian VIII died, and Fritz now openly showed his relationship to Louise Rasmussen, a former ballet child at The Royal Theater. She was a commoner and illegitimate child of a washing woman and a diplomat, but Fritz loved her dearly, and she married to his left hand. Since she could never be queen, Fritz instead made her Countess Danner of Sleswig. She was not popular with the family or nobility, but the people liked her. She never forgot the poverty of her childhood, and made several homes, especially for unfortunate women, and other sorts of charity. In march 1849 there was a small "revolution", demanding that the king gave up his absolute power, but when they met the king, he could inform them, that he was way ahead of them. The new constitution was almost ready, and was signed on June 5th. After signing it, Fritz said:"Now that I'm not king anymore, is it possible I can be allowed to sleep as long as I like in the morning?" His drinking became heavier and heavier, and in his last years, he was drunk almost every day. In 1863 he died, the last of the 400-years old Oldenborg line. 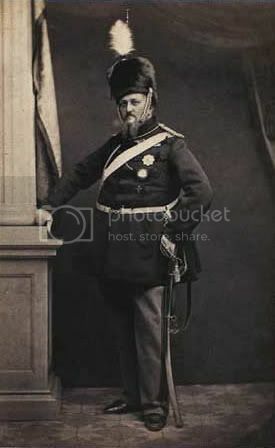 After him the new and present Glücksborg line succeded to the throne with Christian IX. Thanks for pictures and informations. It's a long time I try to find Pictures and Nothing. I'm not sure if Frederik ever visited his mother. There are no sources to back up a meeting taking place and I doubt it very much. 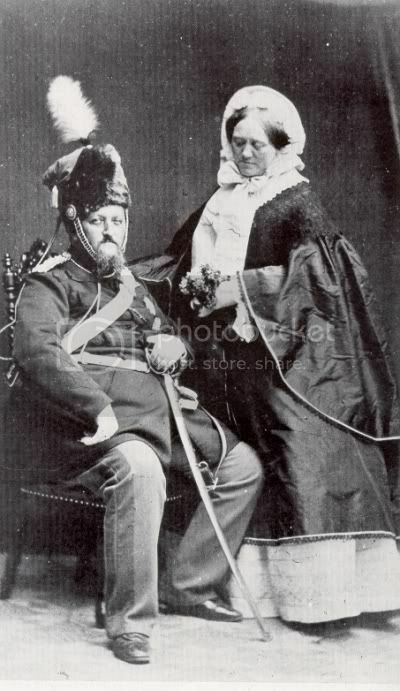 Some pictures of Frederik and his wife Louise, Countess of Danner. Did he and Louise have any children? No, Frederik was unable to have children. 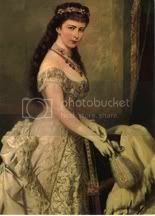 Louise had a son with Carl Berling, who was her lover before Frederik, and a good friend to both of them. 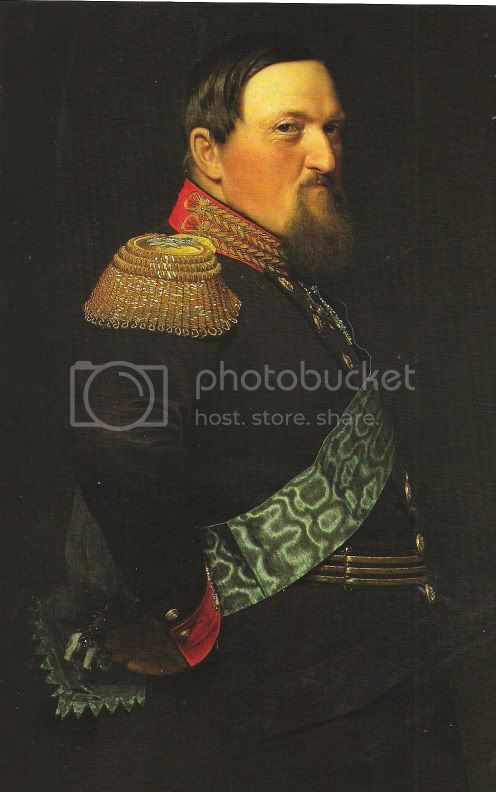 Kmerov, we talked about this before and I agreed that they never met, but recently I came across some information about Fritz's travel to southern Europe in 1828. He started in Switzerland and continued to Italy were he visited Neapel, the archaelogical digs at Vesuv, and Rome were he had an audience with the Pope, and it also said that he visited his mother during the short stay in Rome. It would have been a little odd, if he did'nt, when he was in Rome. Again I think the information is wrong. 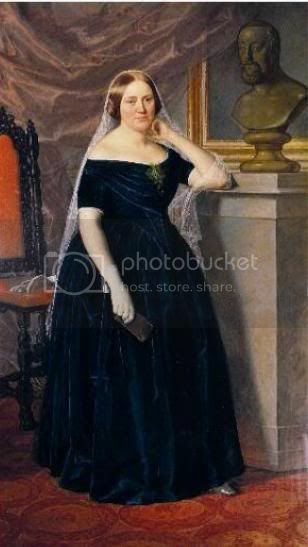 Charlotte Frederikke didn't move to Rome until the summer of 1829, after the wedding of Fritz and Vilhelmine. During the wedding day, a mass crowd of people gathered outside her mansion to honor her, and she was very gratefull. But it would have been nice if they met, which they both wanted to. In 1848 Christian VIII died, and Fritz now openly showed his relationship to Louise Rasmussen, a former ballet child at The Royal Theater. She was a commoner and illegitimate child of a washing woman and a diplomat, but Fritz loved her dearly, and she married to his left hand. Since she could never be queen, Fritz instead made her Countess Danner of Sleswig. She was not popular with the family or nobility, but the people liked her. She never forgot the poverty of her childhood, and made several homes, especially for unfortunate women, and other sorts of charity. Who was Louise Danner ? 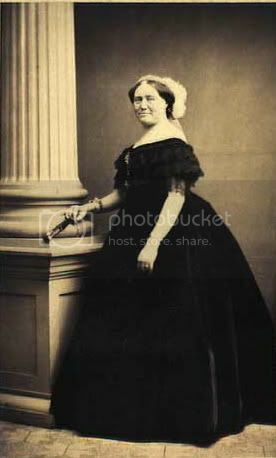 Louise Rasmussen was the daughter of a then unmarried maid, and her employer (not uncommon in those days), a known businessman in Copenhagen (not a diplomat). 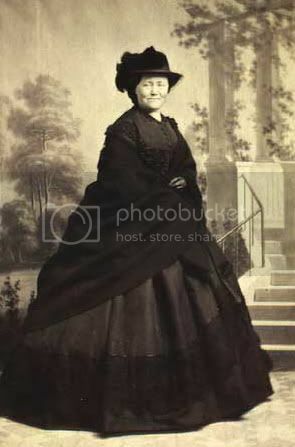 Countess Danner was not only disliked, but hated by large parts of society. She was the focus of great slander and harassment, and many schemes were hached to remove her from Frederik, but without succes. She did take part in politics, advising the king on many subjects and received much critic for it. She was popular in the country side, where people cheered the "high couple". 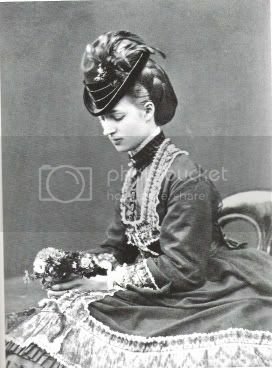 Louise was the sole heir of Frederik, and thus she inherited the Oldenborg fortune, which also was a great blow to Christian IX and his economy. So, she inherited a lot, but where did she lived after Frederik's death? And what happent to the fortune she inherited, after she died? 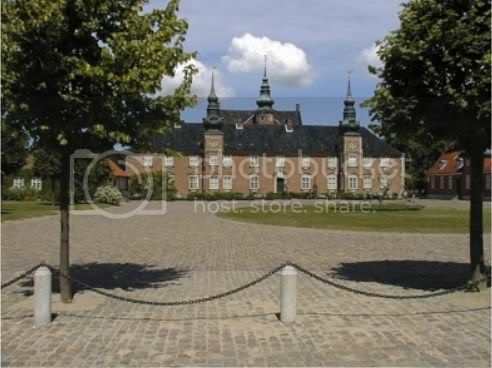 She lived at Jægerspris Castle, which was her personel property. 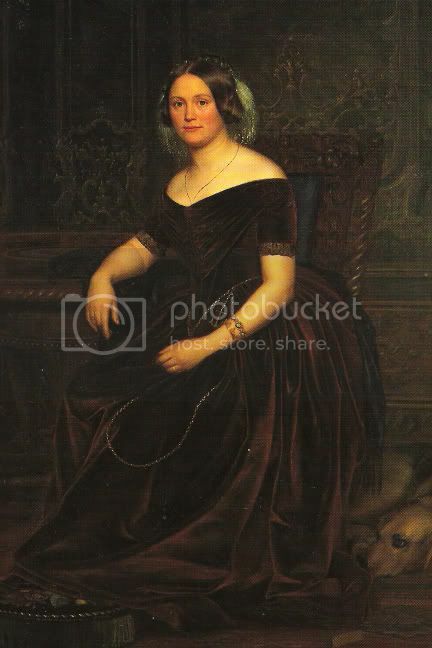 Countess Danner spend much of her fortune on charity, and she founded many institutions to help women and children of low birth get a chance in life. Some of them exist to this day.